There is nothing quite like the excruciating pain of losing an animal companion. 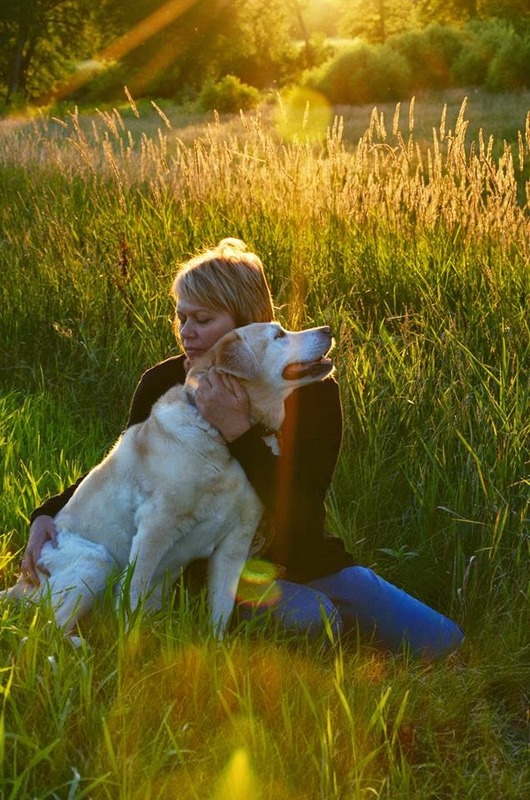 Whether that be canine, feline, equine, or bovine, when we have to say goodbye to a being that loves us like no other, the grief seems unbearable. When a person dies, people understand that it will take a considerable amount of time to process the loss. Yet when a pet dies, the expectation is not so magnanimous. Some suggest “replacing” the pet as soon as possible. But as anyone who has ever been loved by an animal will tell you, these creatures leave paw prints on our hearts that refuse to be replaced. Their mischievous shenanigans, annoyingly cute little tricks, and insistence on undivided attention will be the things we miss the most. A year ago I had to put my dog Malcolm down after 17 years. Ours was a very intricately woven bond. His loyalty was so fierce, I knew he would not leave me even though he was in intense pain. He not only changed my life the day I walked into Operation Kindness, he saved it. He more than lived up to his side of the deal and stuck with me through thick and thin. I needed to live up to mine and be brave enough to let him go. We had traveled the country together and met more dogs in more places than most people and dogs do. We’d regularly go out for a walk and return with 3-6 neighbor dogs in tow, making me Penny the Pied Piper of Puppies. There is something so comforting to me about the company of dogs. Maybe it’s that my dogs and I can communicate without speaking. Or it could be that they think I’m a good cook, hilarious, beautiful, brilliant, generous, and have great taste in leashes. They know when I need to exercise, eat, sleep, or shower. They know when someone or something is threatening me. And vice versa. They allow me to pretend I’m the boss of them, but we all know the truth. And even though I scold them for dropping the best, most durable balls in the Maquoketa River within 10 minutes of taking them out of the package and other bad behavior, they refuse to point out my mistakes or bad behavior. My friend Susan and her dog Sophie gave me a pillow that says, “To error is human, to forgive canine.” That pretty much sums up it up. For these and a hundred other reasons, I offer the most heartfelt condolences to those who lose their animals companions. Animals complete us. They make our families fuller. They make our lives richer. They provide unconditional love and acceptance. Not to mention unlimited writing material and photo opportunities. My good friend Karen lost her sweet Callie last weekend. There are no words to ease her pain and talking of Callie will continue to bring tears to both of our eyes for quite some time. So in honor of our four-legged furry friends everywhere, let’s offer up a prayer or two of gratitude that these amazing creatures choose to spend their limited time among us and teach us how to sit, roll over, and fetch our farthest reaching dreams. If only they could stay longer. Share your favorite pet story, trick, photo, memory, etc. below. This is a picture of me and Abbey, the beautiful, gentle yellow lab who joined Malcolm and me and made the last two years of his life so much spunkier.